Foxwoods Poker Room Spokesperson Bernard Lee has made Day 3 of Event #42, the $1,500 No-Limit Hold 'em, at the 41st Annual World Series of Poker. 2,521 players started the event and they are down to the final 25. 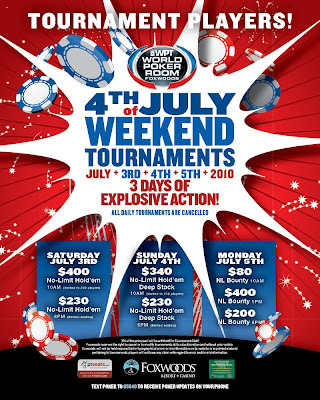 4th of July Weekend Tournaments!!! 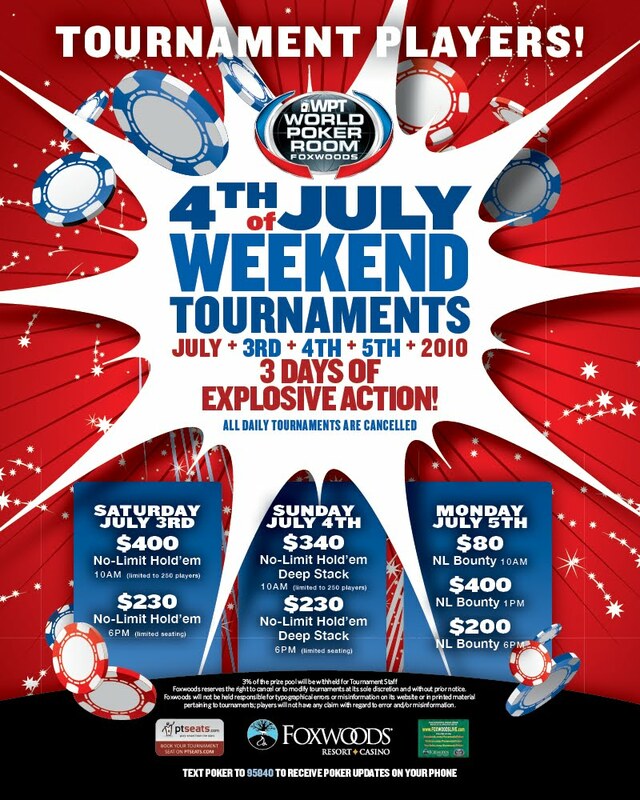 Get ready for three days of explosive action at the 4th of July Weekend Tournaments at the Foxwoods Resort and Casino!! !